Recent investigations of photoinhibition have revealed that photodamage to photosystem II (PSII) involves two temporally separated steps: the first is the inactivation of the oxygen-evolving complex by light that has been absorbed by the manganese cluster and the second is the impairment of the photochemical reaction center by light that has been absorbed by chlorophyll. Our studies of photoinhibition in Synechocystis sp. PCC 6803 at various temperatures demonstrated that the first step in photodamage is not completed at low temperatures, such as 10°C. Further investigations suggested that an intermediate state, which is stabilized at low temperatures, might exist at the first stage of photodamage. The repair of PSII involves many steps, including degradation and removal of the D1 protein, synthesis de novo of the precursor to the D1 protein, assembly of the PSII complex, and processing of the precursor to the D1 protein. Detailed analysis of photodamage and repair at various temperatures has demonstrated that, among these steps, only the synthesis of the precursor to D1 appears to proceed at low temperatures. 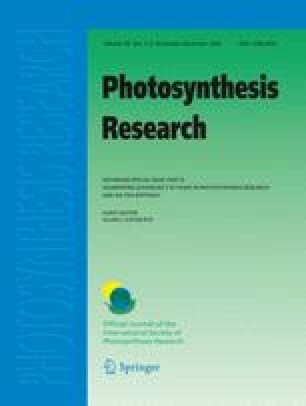 Investigations of photoinhibition at low temperatures have also indicated that prolonged exposure of cyanobacterial cells or plant leaves to strong light diminishes their ability to repair PSII. Such non-repairable photoinhibition is caused by inhibition of the processing of the precursor to the D1 protein after prolonged illumination with strong light at low temperatures. The authors acknowledge Dr. J. S. S. Prakash, Hyderabad University, and Dr. Shunichi Takahashi, the Australian National University, for their kind help during the preparation of the manuscript. This work was supported, in part, by the Cooperative Research Program on Stress-Tolerant Plants of the National Institute for Basic Biology, Japan, and by grants from the Russian Foundation for Basic Research (no. 05-04-49672) and from the Molecular and Cell Biology Programs of the Russian Academy of Sciences (to S.I.A.). P.M. thanks the Indian National Science Academy, New Delhi, for his assignment as an honorary scientist at RPRC Bhubaneswar.